Despite the fact that we haven’t had any decent rain in months not much has been said by Council or in the press about water restrictions in Hervey Bay. In fact you have to dig deep on the Wide Bay Water website to locate any mention of any restrictions on the use of water. Despite the lack of publicity the fact is that there are water restrictions in Hervey Bay and despite Lenthals Dam being at around 67% capacity we are only on Level 1 water restrictions. 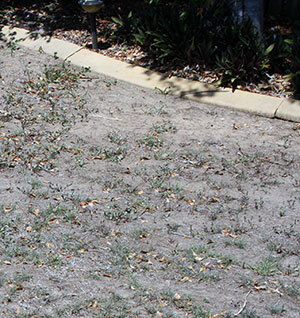 All sprinklers, irrigation systems and soaker hoses are banned between 9am and 4pm. Hosing of driveways and paved areas is banned at all times except when a water-efficient high-pressure cleaner (ie. gerni) is used. All hand-held hoses in use must be fitted with a working trigger nozzle. Flushing of boat motors by hose is allowed at any time. Let’s hope that some decent rains come soon or we can expect Council to review the level of water restrictions.